Happy New Year! I hope 2016 is off to a good start. Mine started with the worst head cold I can remember. Followed by a sick child who didn’t end her winter break until Friday. Topped off with a husband who was sicker and whinier than all of us because, as he told my daughter, he’s a guy. What he is is a piece of work! That’s all behind me now though and I am blissfully typing away while all the whiny people I love are up at the ski mountain. Just me and my barky dog until this afternoon. As usual, I got a little crazy with the carbs over the holidays so I’m taking a break. I’m on day five, the cravings have subsided, my arthritic hands are feeling much better, and I haven’t emotionally scarred my children (I may have been a little mean to my husband but see the previous paragraph for my defense) so I’m feeling successful. It helps me to concentrate more on the things I can add to my diet like tons of fresh fruit and vegetables, than on the things I’m taking a break from. As always, I keep a little very dark chocolate on hand to keep my sanity. 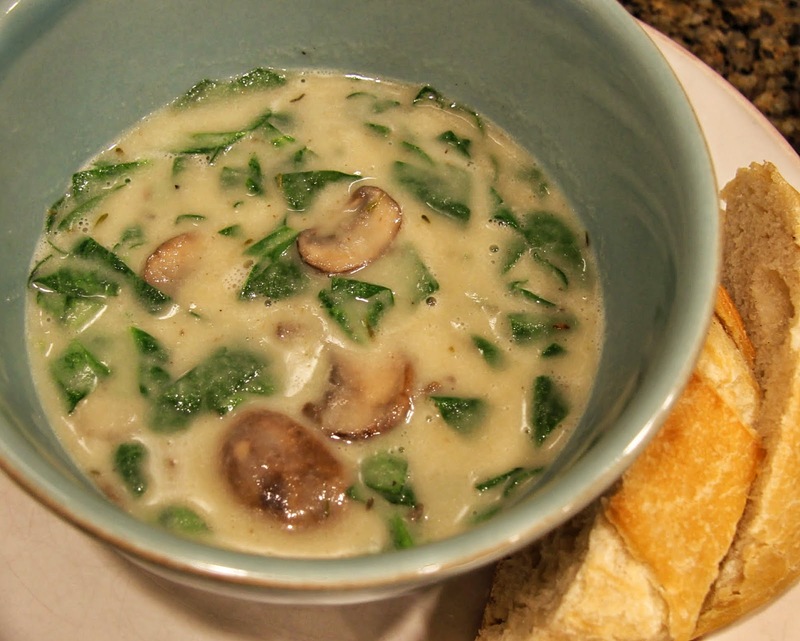 You’ll notice I didn’t call this “cream of” spinach and mushroom soup. That’s because there is no cream in it, not even any milk, and you are going to love this healthy, creamy replacement. 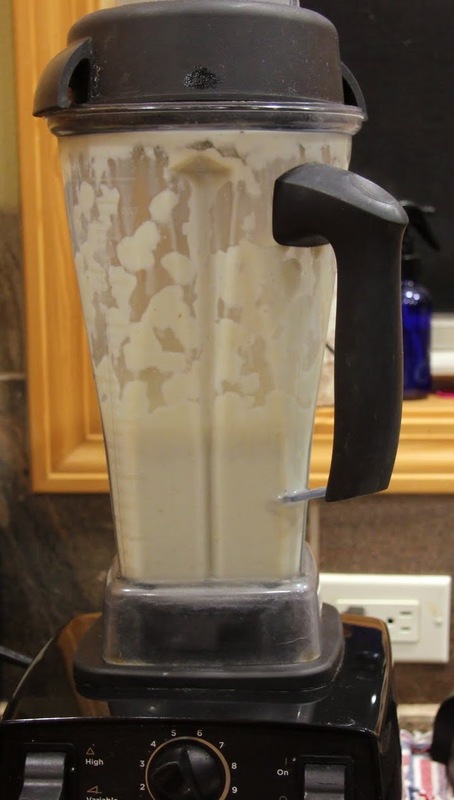 If you have a super-powerful blender like Vitamix or Blendtec it will surely give you the best result but you can also use a less powerful stand or immersion (stick) blender. The key ingredient here is celery root. If you’re not familiar, it looks likes this. Not very pretty, I know, but as I tell my girls, it’s what’s inside that counts. 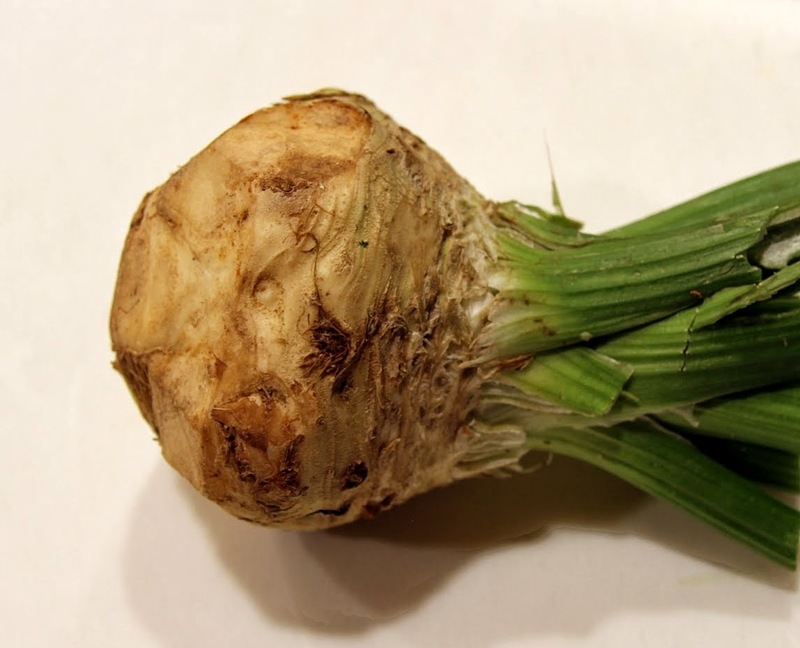 What’s inside is a root vegetable that tastes a bit like celery (it’s a cousin, not the actual root of the celery we are used to) but has a texture somewhere between a carrot and a potato. The difference is if you tried to do this with potato it might get a bit gluey because it has so much more starch. 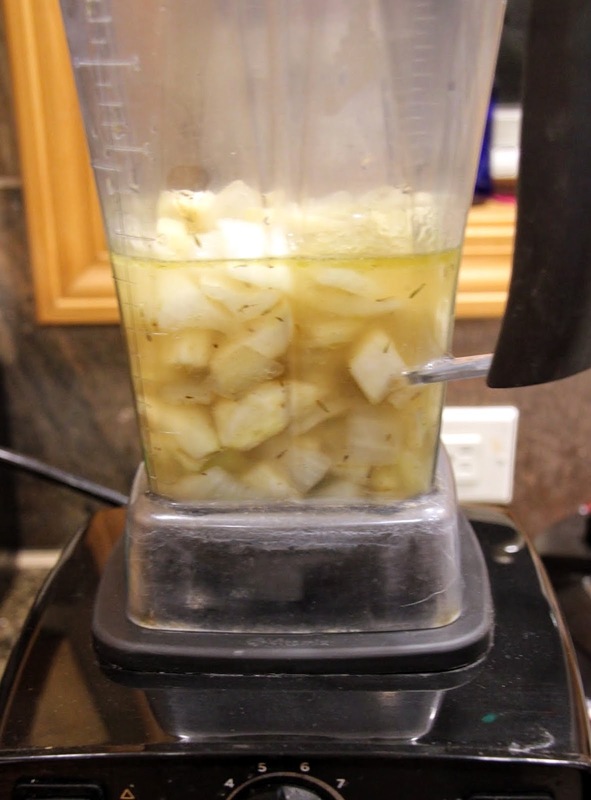 I add onion and garlic to the celery root, saute it until soft, then blend away and it ends up looking like this. 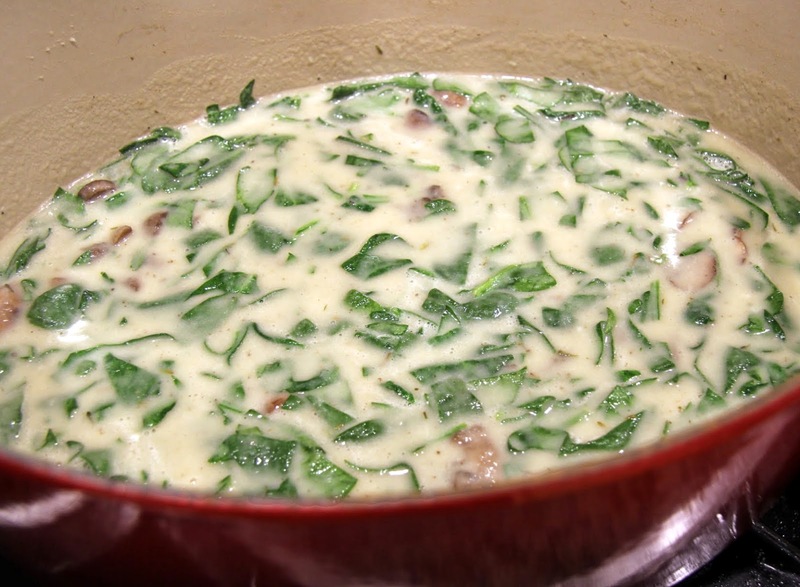 The look and silky texture of heavy cream with the added bonus of extra flavor and nutrients and the absence of excess fat. Don’t get me wrong, I’m all for fat but not where it isn’t necessary. As I’m sure you’ve already figured out, this lovely substitute would be suitable for any sort of cream-based soup, I intend to use it the next time I make chowder. 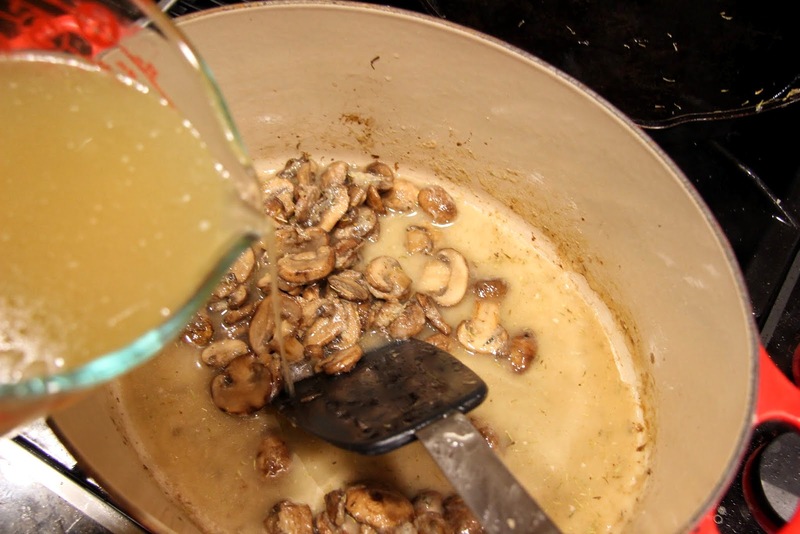 You will still need to use a roux to thicken the soup. 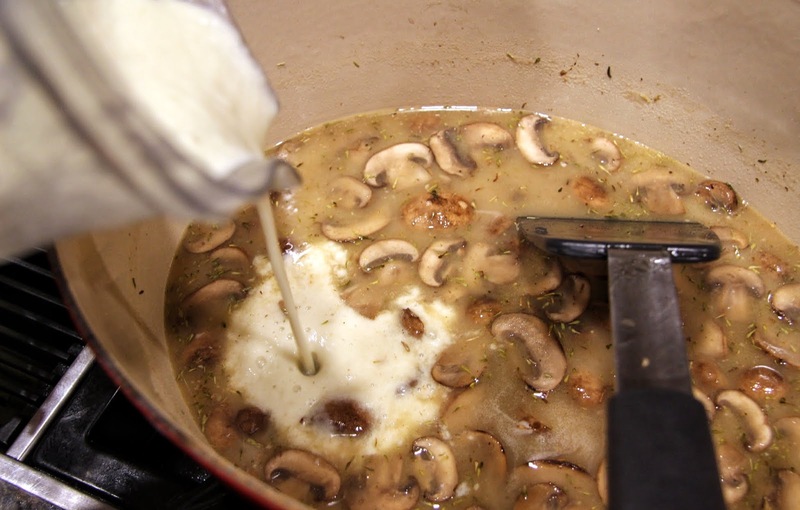 I have used the traditional combination of butter and flour here, but you could substitute with olive oil and cornstarch or arrowroot and make the soup both dairy and gluten free. That way, it should fit into any New Year’s resolution you’re trying to keep! 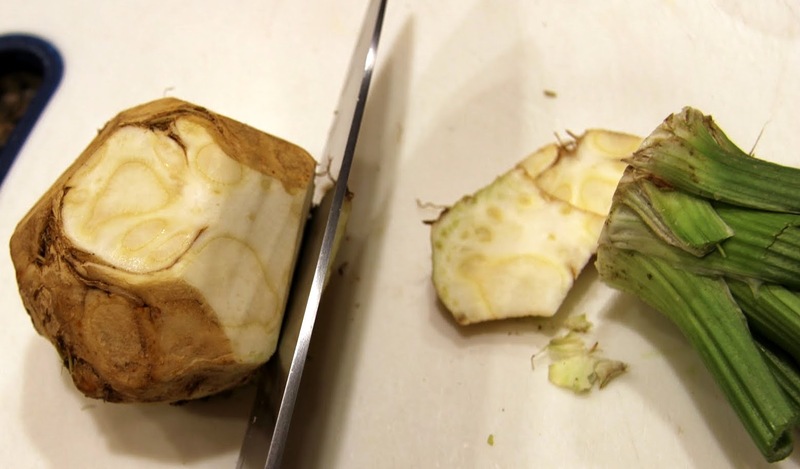 Give the celery root bulb a good scrub then prepare it by removing the stem and rough outer peel with a sharp knife. 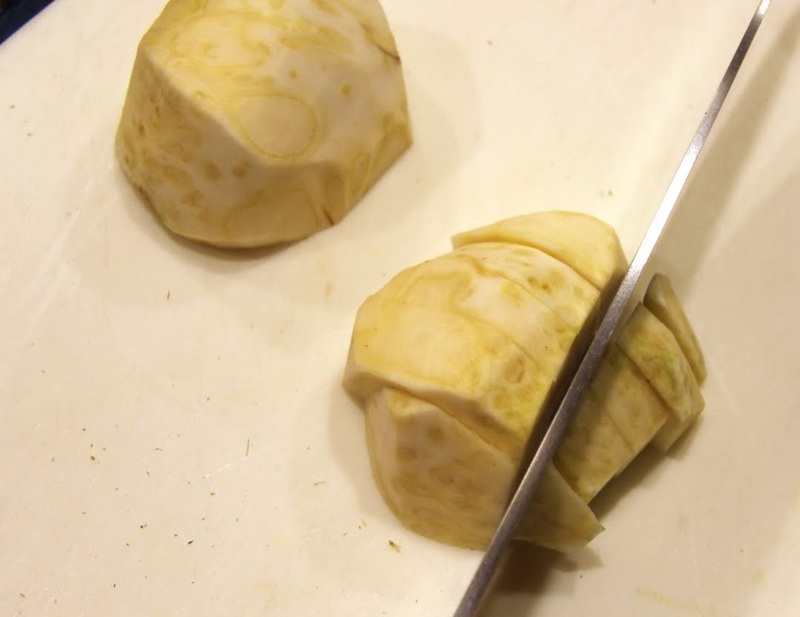 Then cut in half and dice into medium size chunks. 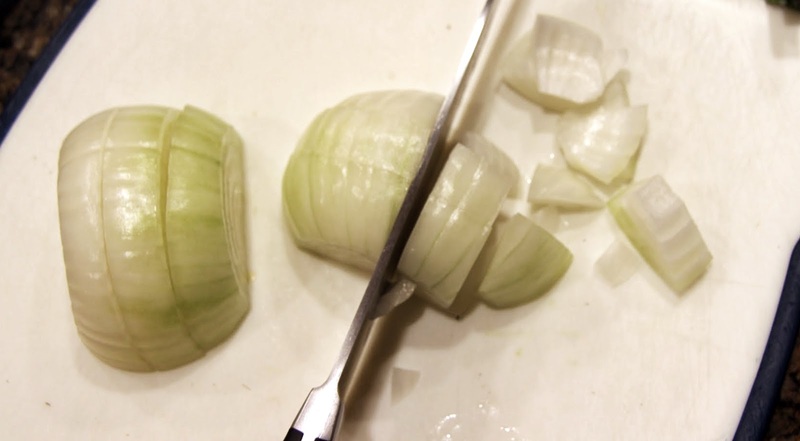 Peel and dice the onion so that it is similar in size. 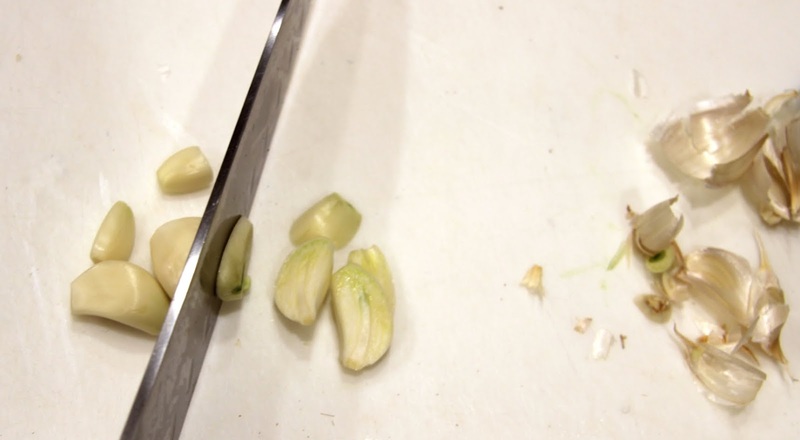 Peel garlic cloves and slice in 2 -3 pieces. 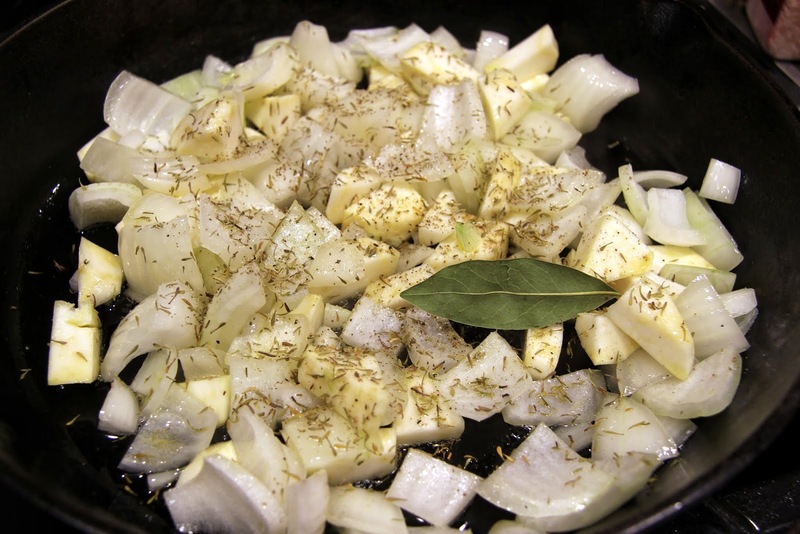 Heat olive oil in a large saute pan or skillet on medium heat then add celery root, onion, garlic, dried thyme, bay leaf, salt and pepper. 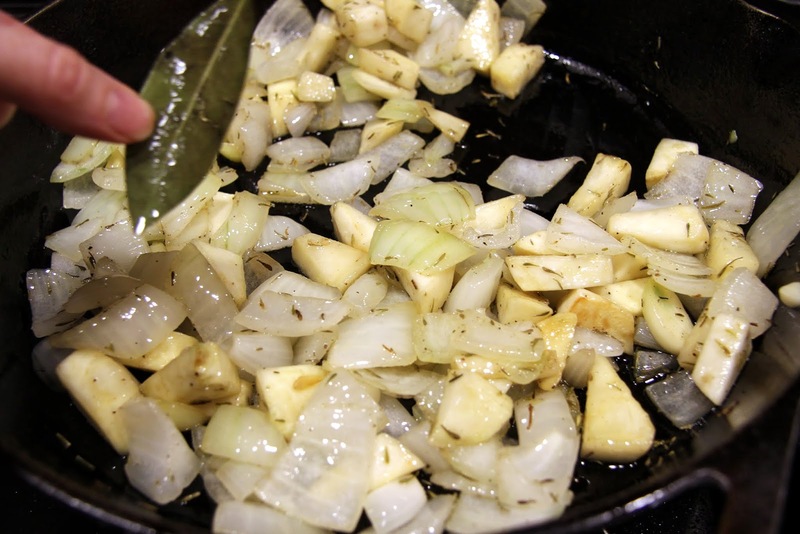 Continue to cook over low-medium heat until the vegetables are soft, but not browned, about 10 minutes. 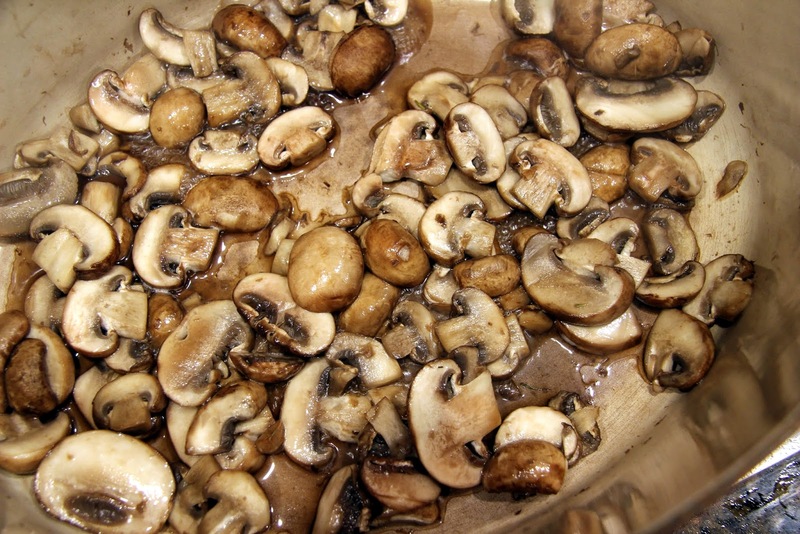 Meanwhile, rinse the mushrooms and dry immediately to keep them from soaking up too much water. 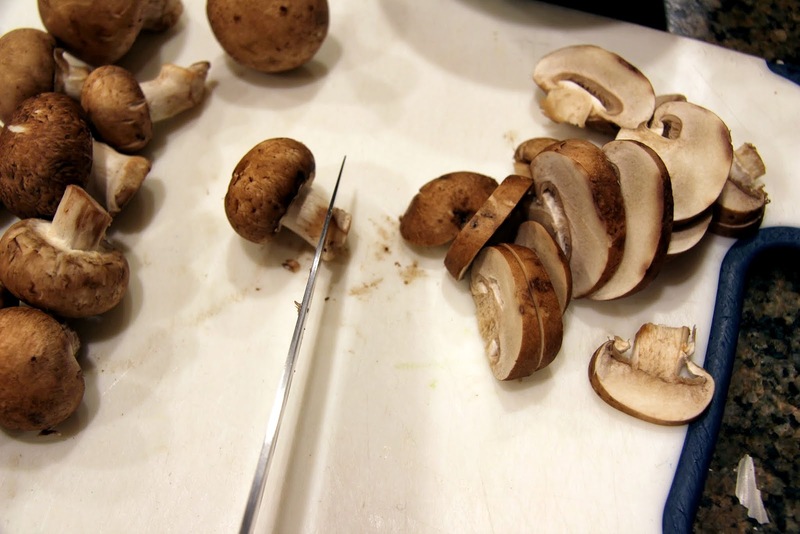 Then, remove the rough bottom of the stem and slice, not too thin. 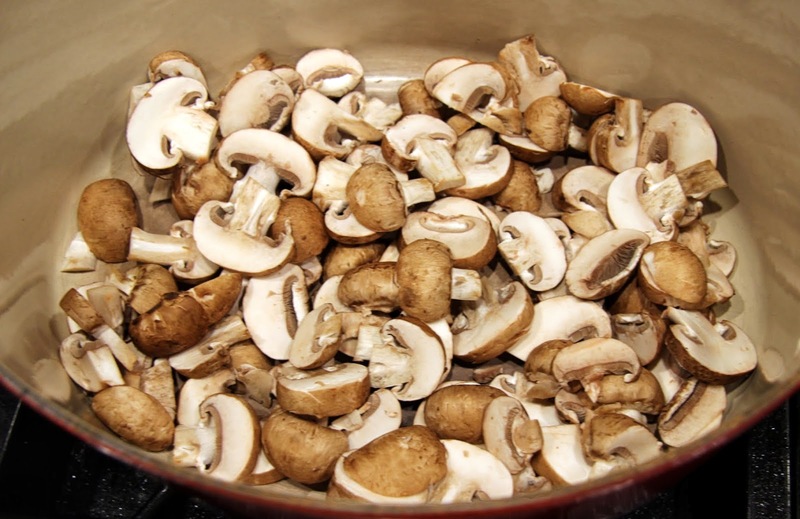 Place in a large soup pot or dutch oven with no oil and begin to saute on medium-high heat, stirring frequently, until the liquid from from the mushrooms begins to release (be patient, it will) and then evaporate. The whole process should take about 7 – 10 minutes. 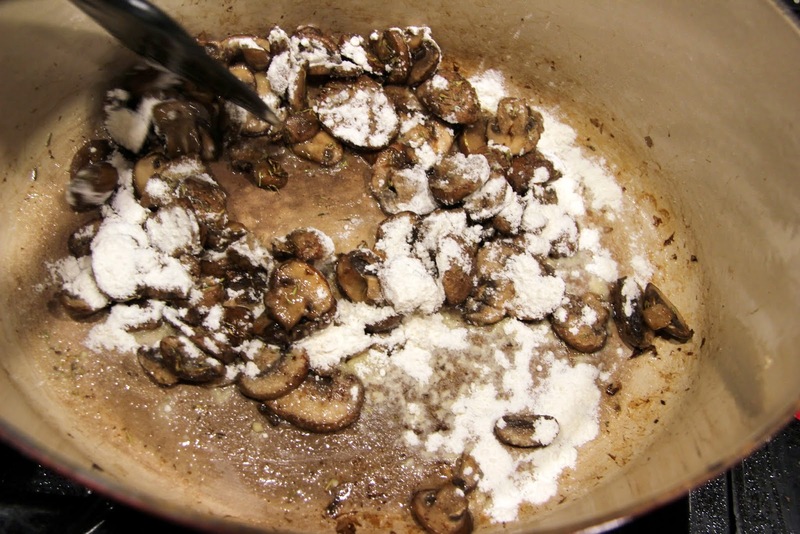 This dry saute method improves both the texture and flavor of the mushrooms. 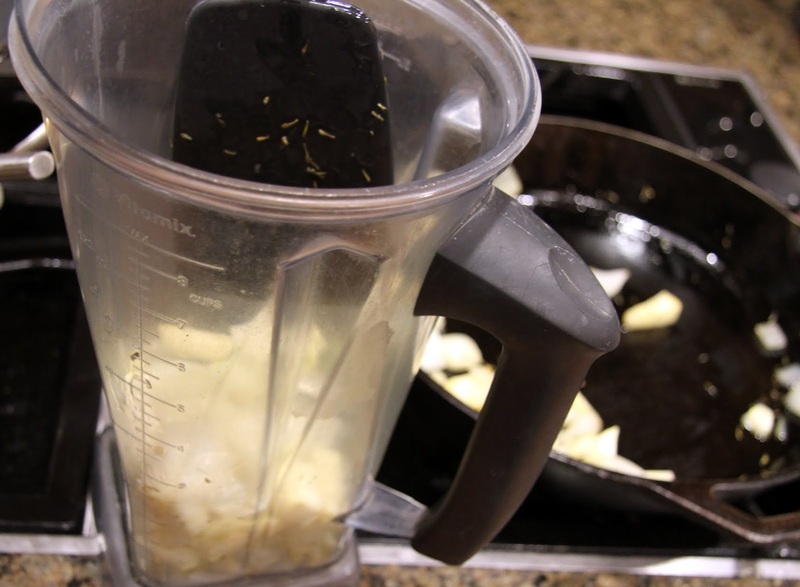 Once the celery root and onions are soft, remove the bay leaf and transfer the rest to your blender. 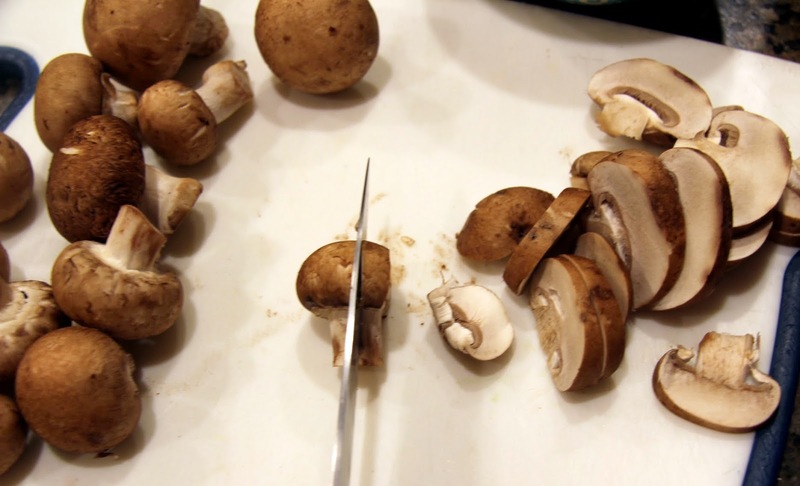 Set aside while you deal with your mushrooms. NOTE: Soon you will be using 3 cups of chicken or vegetable stock/broth, divided. It works best if it is warm so you may want to go ahead and heat it up in the microwave or on the stove so you are prepared. 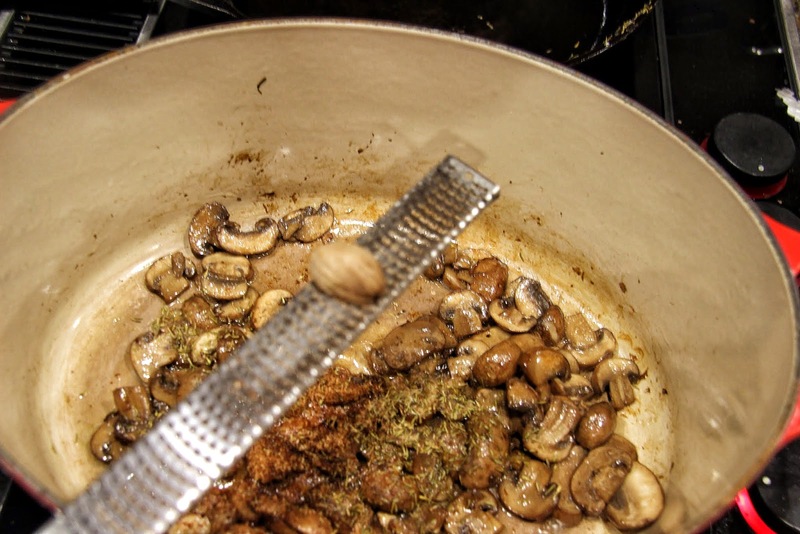 Once your mushrooms have released all of their liquid, turn the heat down to low-medium and add butter or olive oil, thyme and nutmeg. 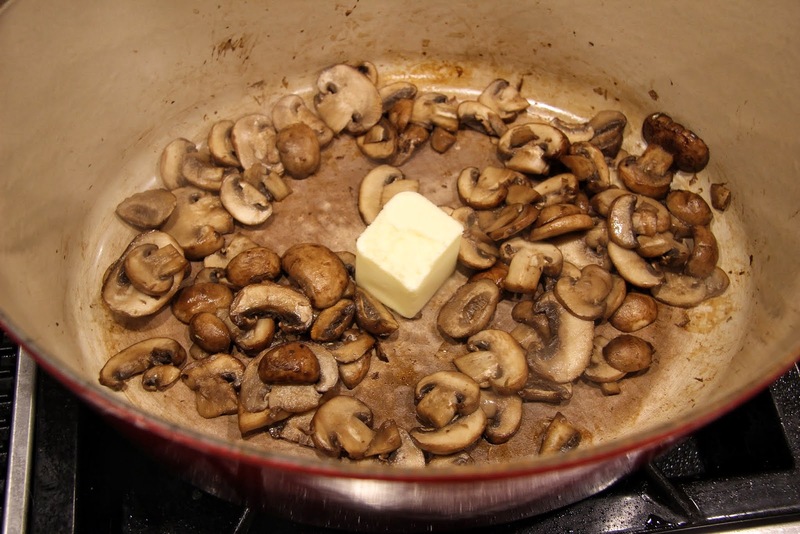 Once the butter has melted, add flour or cornstarch/arrowroot and cook a couple minutes. Slowly, a little at a time, stirring constantly to avoid lumps, add 2 cups of heated chicken or vegetable stock/broth. 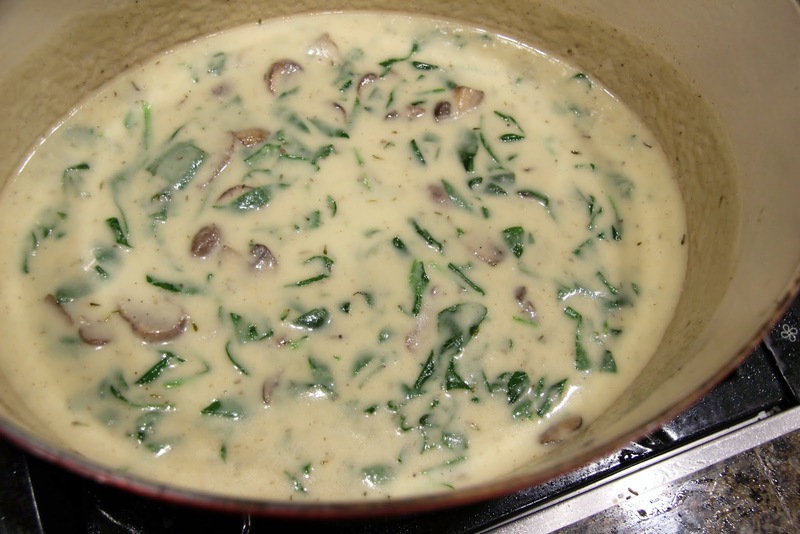 Allow to cook over medium heat, stirring occasionally, until mixture starts to thicken. 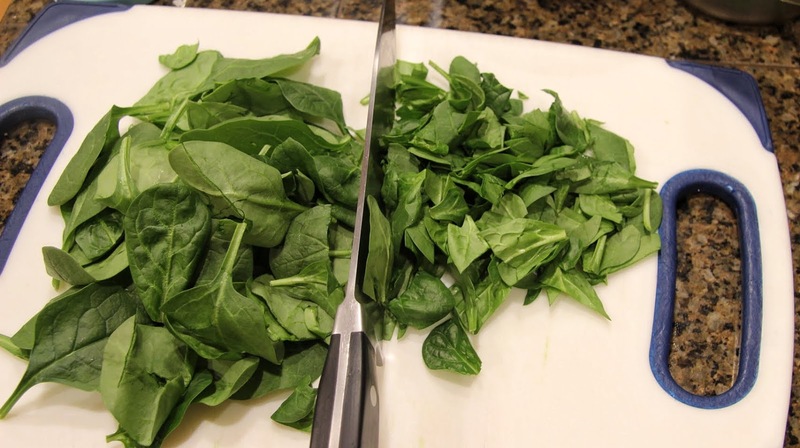 Meanwhile, chop spinach into ribbon-like slices. 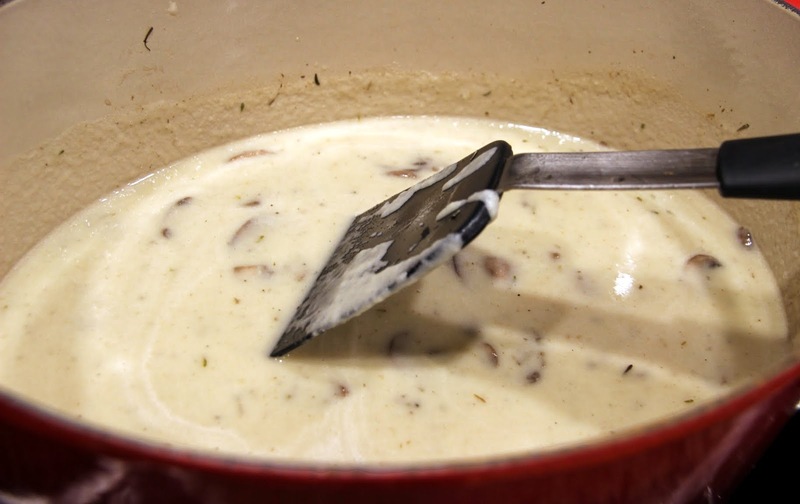 Add remaining cup of stock/broth to blender and blend (gradually up to high) until the mixture resembles thick cream. Add this mixture to the slightly thickened soup and stir until smooth. 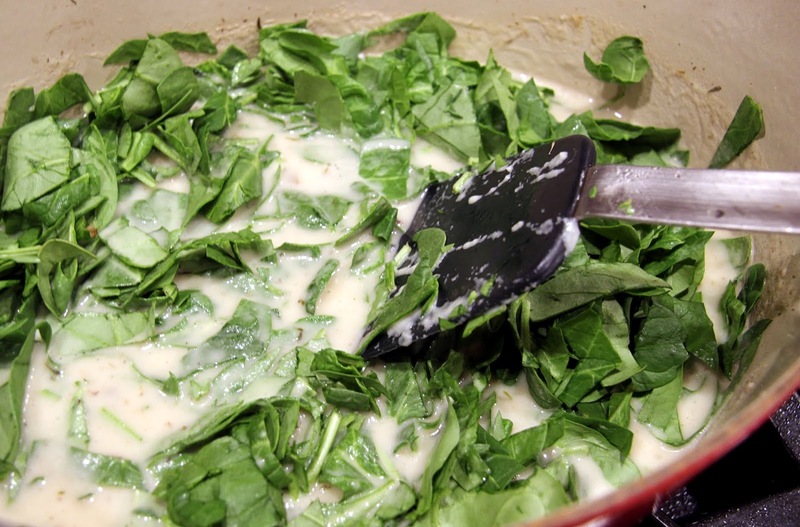 Add spinach and cook over medium heat until the spinach is cooked and the soup reaches desired consistency. Add salt and pepper to your taste and serve. This soup will keep well in the refrigerator for a couple days and should freeze well also. Enjoy! Great advice for the new year… I’m trying!! !